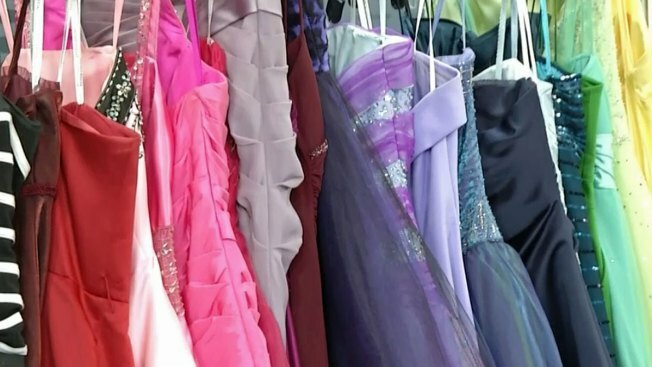 The Dallas Public Library is hosting "Fairy Tale Closet" March 21 and March 28 to provide prom dresses to South Dallas and Pleasant Grove high school students. Teens will be able to browse hundreds of free dresses as well as shoes and accessories for prom. There will also be makeup artists giving beauty advice. "Last year's event served 100 girls, but the demand was so great that the closet expanded to Pleasant Grove this year," said Library Youth Services Administrator Melissa Dease. "I was a little nervous we wouldn't collect enough dresses for two events, but I've been blown away by the generosity of people in Dallas. Instead of not enough dresses, I don't have enough racks to hold them." MLK Jr. Branch will be hosting the event Saturday March 21 from 1 p.m. to 5 p.m. and Pleasant Grove Branch will be hosting the event Saturday March 28 from 1 p.m. to 5 p.m.